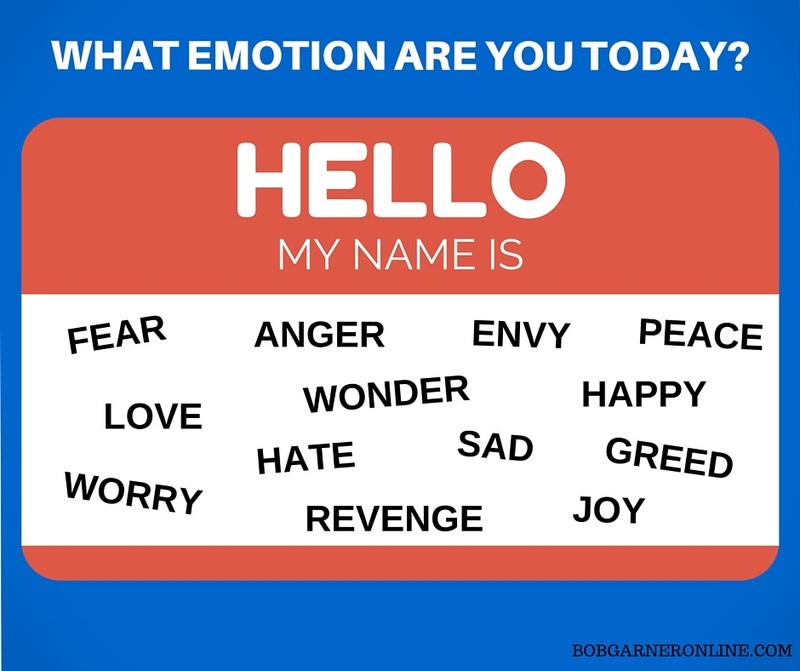 You Wear Your Emotions Like a Name Badge – What Emotion Are You Today? For as long as I can remember, my name was Fear or Anger. Occasionally, Love, Joy or Wonder would be my name and, sometimes, Peace. But mostly, it was Fear and Anger. One day, I decided to analyze why I let these emotions control my life. My self-research suggested that I was usually angry that someone treated me a certain way or that I did not receive the treatment or goal that I “felt” I deserved. From the perspective of fear, it was usually a fear that something bad would happen in the future. And the majority of the time, these emotions or reactions to people or events were knee-jerk; they happened immediately. I would later feel guilty or remorseful, if I lashed back at someone or foolish for being fearful of an event that never occurred. That sounds great! But why couldn’t I say that to myself? Well, I could, I did … and I can. The key word in my response was “choose.” You see, you have to choose to be fearful or angry, as well as revengeful, envious, or worried, and most of these choices stem from a desire to have things go “your way.” You don’t have to choose to be peaceful, loving or joyous, as they are your natural state. It’s only when things or people don’t go or act “your way” that we choose fear, anger, or the other negative emotions. While I still get “fearful” or angry at times, I remind myself that I don’t need to feel that way. When I remove the thought or desire for things to go “MY WAY,” then a more natural state of peace, joy, wonder, and love are able to be realized. Additionally, by allowing these people or events to affect my thinking and, therefore, my emotions, I gave up my power, as well as my peace and the other more positive and natural ways of being. From that natural state, I am more likely to respond correctly (or not at all) to any person or event. Look at that name tag and see what emotion best describes you. Is it peaceful, joyous or loving? Or is it fearful, angry, or revengeful? To whom or what are you consenting to give up your power, your peace, your joy? What emotion are you today? 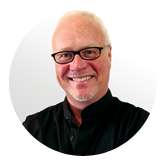 Bob Garner is a successful business person, author and an entertaining motivational speaker who is known as guy who took a dream and turned it into reality.